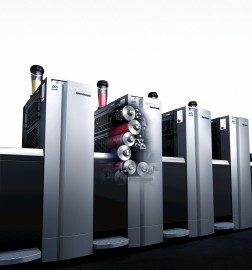 Profitable production of short runs in offset printing. The Speedmaster XL 75 Anicolor 2 permits fast, flexible, and economical production of short runs in commercial, packaging, and label printing, and in so doing is the next evolution in our successful and proven Anicolor technology. The Anicolor 2 inking unit consists of a single-speed screen roller with ink chamber blade. It is not necessary to change the ink volume from zone to zone. The ink is transferred from the screen roller to the printing plate by an ink form roller. With Anicolor 2, the ink density can be increased by activating the Anicolor Booster via the Prinect Press Center XL 2. 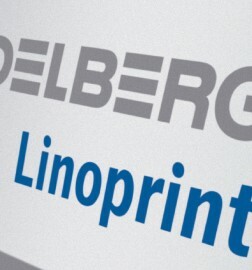 This does away with the need to change the ink chamber in most cases, since both coated and uncoated substrates can now be processed with the same ink series. The larger range of color settings increases the flexibility when processing different substrates and inks. Optimized washup programs make fast ink changes even faster. The screen roller also rarely needs to be replaced. Makeready processes can be further reduced by selecting various ink shut-off programs. 90 – 50 – 50. The Anicolor formula. 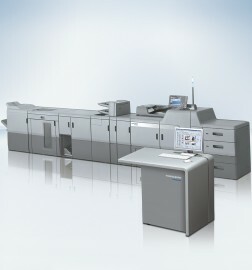 Time for Digital Printing – Time for Versafire. Discovering New Areas of Business with Versafire.